Mom is still way off her schedule, but things have been getting a bit better. That is until today. Today, Mom came out around 8:30 AM, (not a bad time), looking all bright eyed, but that really wasn't the case. She sounded fine as I poured her coffee, then made her breakfast. However when I sat down here at the table, things changed. Mom's first question was, "how did I get here"? I chuckled and gave her the standard reply and that launched a barrage of the same old questions about her car, the house, there's nothing wrong with her, etc, etc. On the bright side, I made some great tasting biscuits today and Mom ate four with her breakfast. 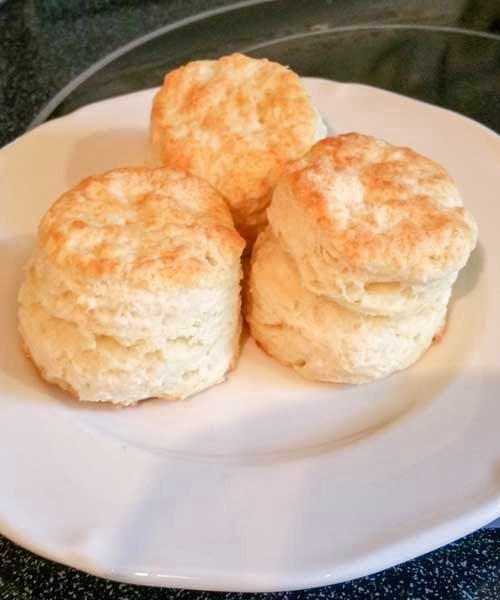 I can make good biscuits, but I still haven't found a scone recipe that I like. My buddy Cary has one, and he makes the best scones I've ever eaten perhaps I'll bug him for it some day. Oh one other thing worth mentioning. Mom asked where dad was yesterday. That's the first time in over a year she has even mentioned him. Well have a great day everyone!